Research associate in the group Airborne Measurements and UTLS Transport Processes, headed by Univ.-Prof. Dr. Peter Hoor. 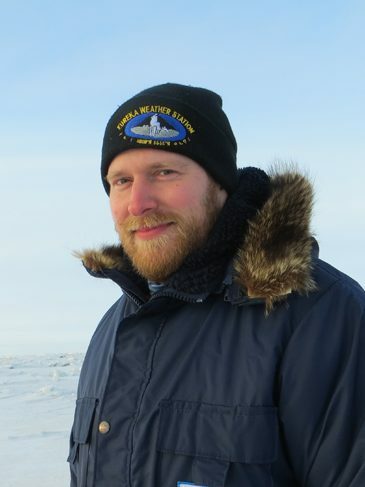 My research focuses on the Arctic. Based on airborne in-situ trace gas data as well as lagrangian model simulations I analyze transport regimes and the Polar Dome in different Arctic regions and during different times of the year. Transport of air masses into the high Arctic is known to occur on different pathways depending on the source region and the time of the year leading to the typical layered vertical structure of the troposphere. Air masses of different source regions are stacked on top of each other due to the increased stability of the atmosphere. At the same time, the high Arctic lower troposphere in general is quite well isolated from the rest of the Arctic and particularly from mid-latitude influence by a transport barrier referred to as the Polar Dome. The Polar Dome is formed by sloping isentropes, the isolines of potential temperature Θ, as a result of radiative cooling in the high Arctic especially during the winter month without sunlight. To determine the location of the Polar Dome boundary I study gradients of anthropogenic pollution tracers like CO and CO2, which emerge across the transport barrier due to the isolation of the inside from mid-latitude influence. However, triggered by synoptic scale disturbances the transport barrier can get permeable thus allowing mid-latitude air masses to enter the high Arctic lower troposphere that can in turn affect local air quality and Arctic climate in general. I furthermore work on a better understanding and quantification of exchange processes across the transport barrier, for which a determination of the location of the Polar Dome boundary is a crucial prerequisite.